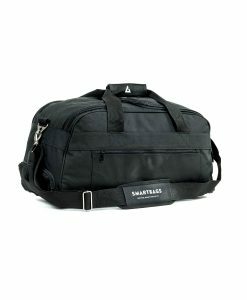 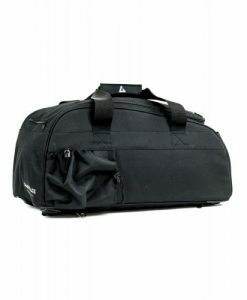 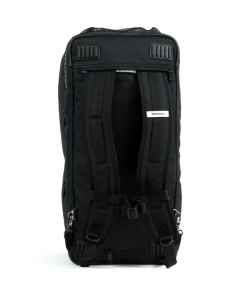 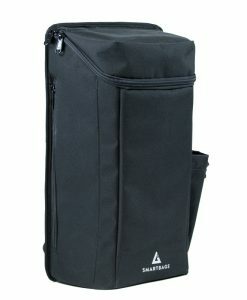 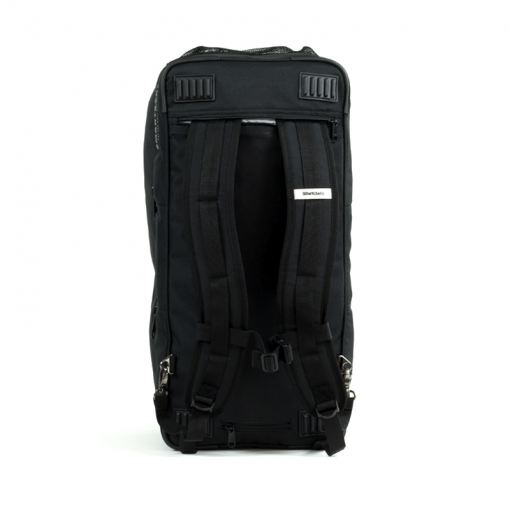 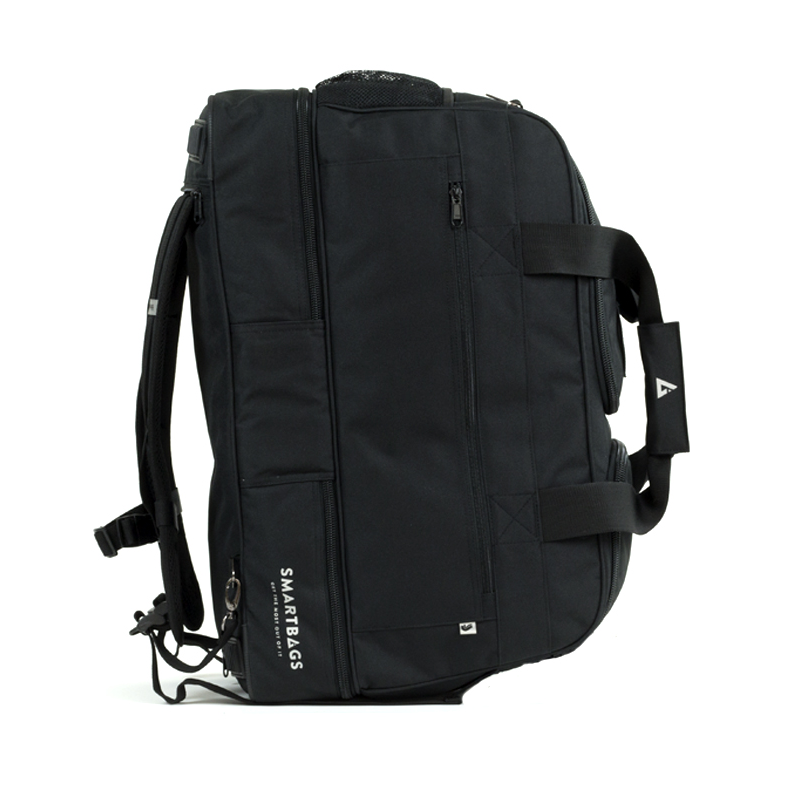 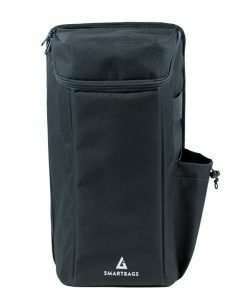 The SmartBags Classic Bags is with its capacity of 60 litres large enough for al your sporting equipment and more. 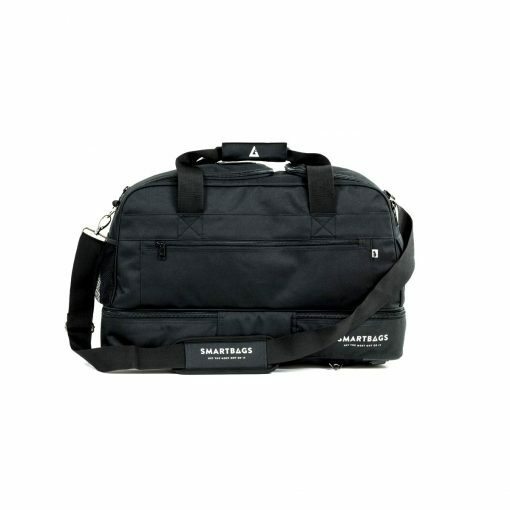 The functional and hard-wearing sports bag consisting of 600D polyester is fitted with strong zippers and robust handles, making the sports bag well-suited for all branches of sport. 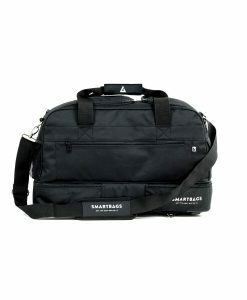 Entirely in line with our passion, where the sportsman’s life is central, we announce with pride our Mr. Do It All: the SmartBags Classic! 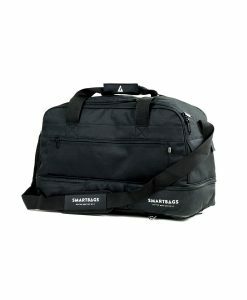 A volume of 60 litres enclosed in wear-resistant polyester canvas, a removable panel to arrange the bag to you liking and smooth running, solid zippers… These are just some of the results of our endeavours to develop a sports bag to be used in all areas of sport. 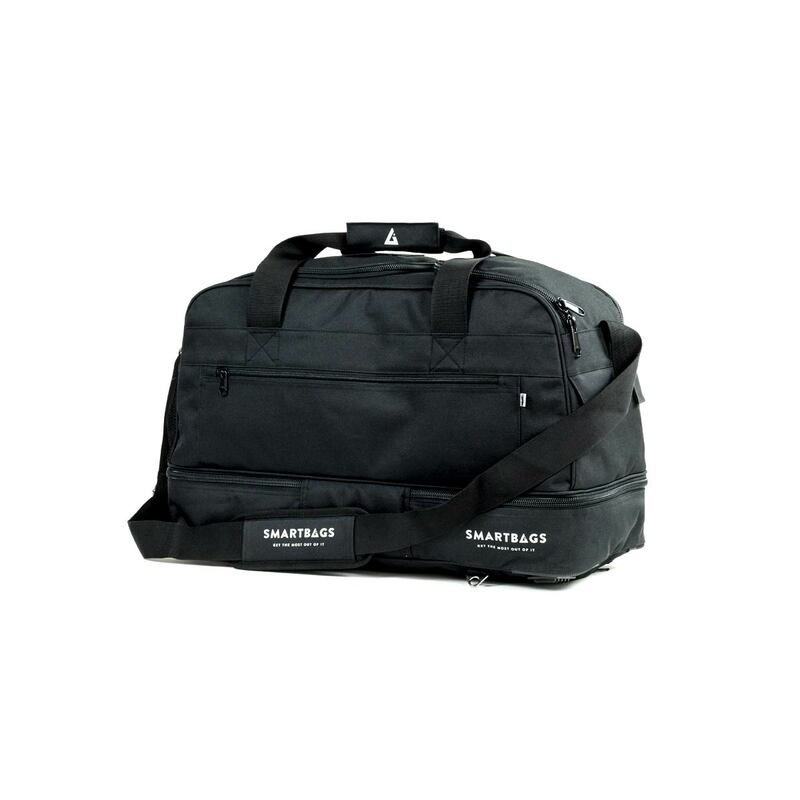 Thanks to the optional waterproof cover you’ll never be surprised by sudden rainfall. 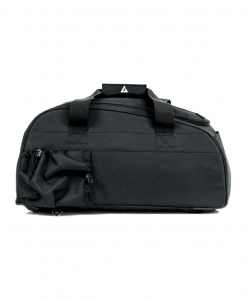 The dedicated compartment for your shoes, the separated chambers for used sportswear and work or school gear, make sure you keep your stuff neat and tidy. 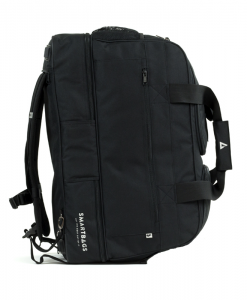 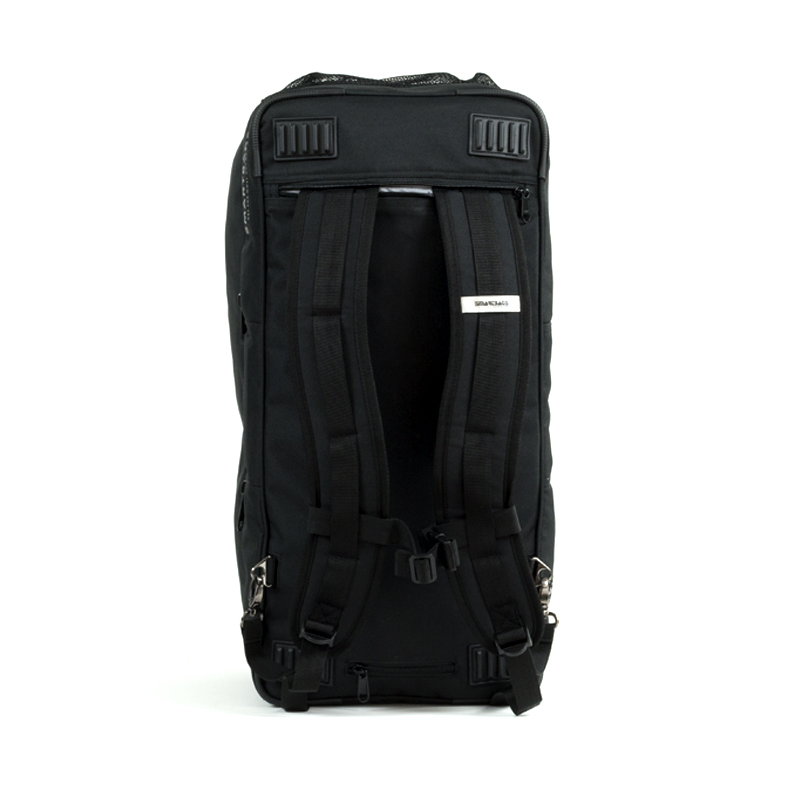 Carry it by hand, over your shoulder or even as a backpack. Robust, but with a clean, stylish look is how we describe the handgrips and the integrated shoulder straps. 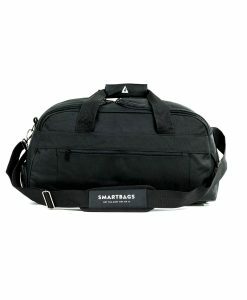 You can conjure up these adjustable shoulder straps with easy and hide them away again just as swiftly. In short, our allrounder comes standard with exactly that what amplifies your personal manner of practising sports, through balance in quality and functionality.